Social choirs are becoming increasingly popular. 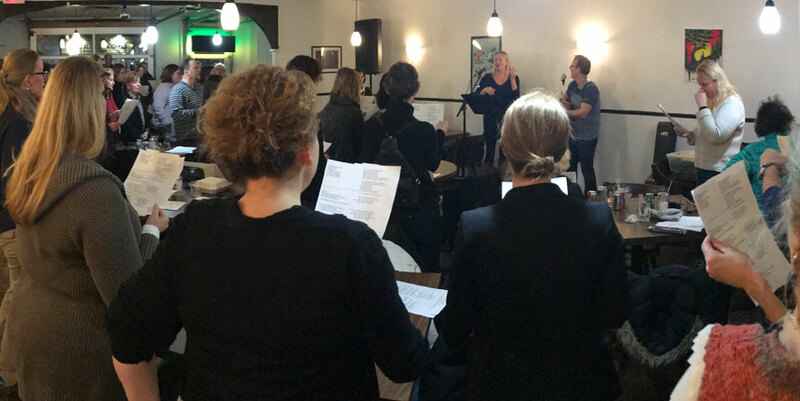 These are gatherings at which people, mostly strangers, of all levels of singing ability, leave the showers and stages of their lives, bolster their confidence with a drink and turn themselves over to a choirmaster to make music together. On this edition of Electric Sky, 613 Casual Choir leaders Lee Hayes and Rob Cosh, and well over 75 singers who braved a frigid January evening in Ottawa, make the case for singing as an act of survival.